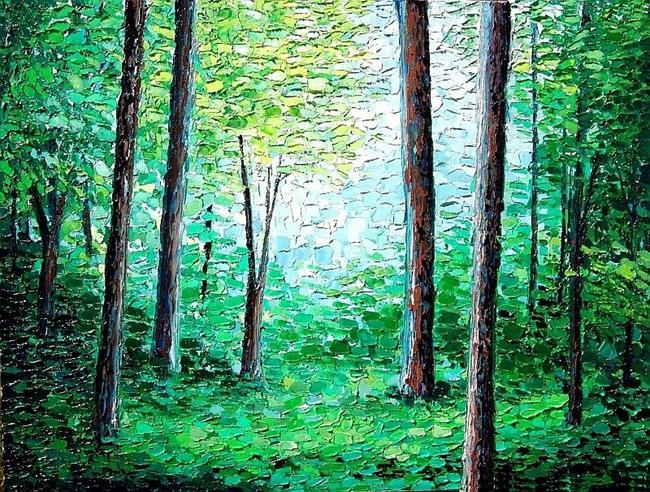 This painting in thick, knife painted oil depicts a lush summer forest scene. This piece is comprised of several layers of thick paint creating an almost 3 dimensional appearance - a truly unique and one of a kind piece of artwork! It would be a vibrant and sophisticated piece to add to any fine art collection, or the perfect stand out work of art to start one! This piece is signed and dated on the front and back of the painting.